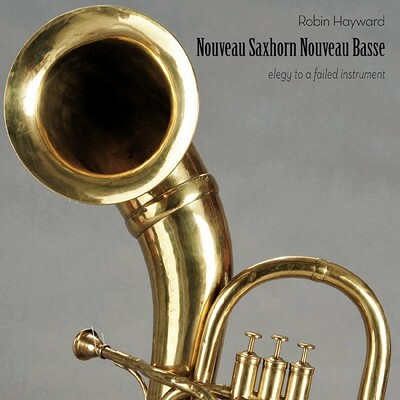 The hexagonal notation defines a harmonic and rhythmic framework within which musical decisions may be taken spontaneously. 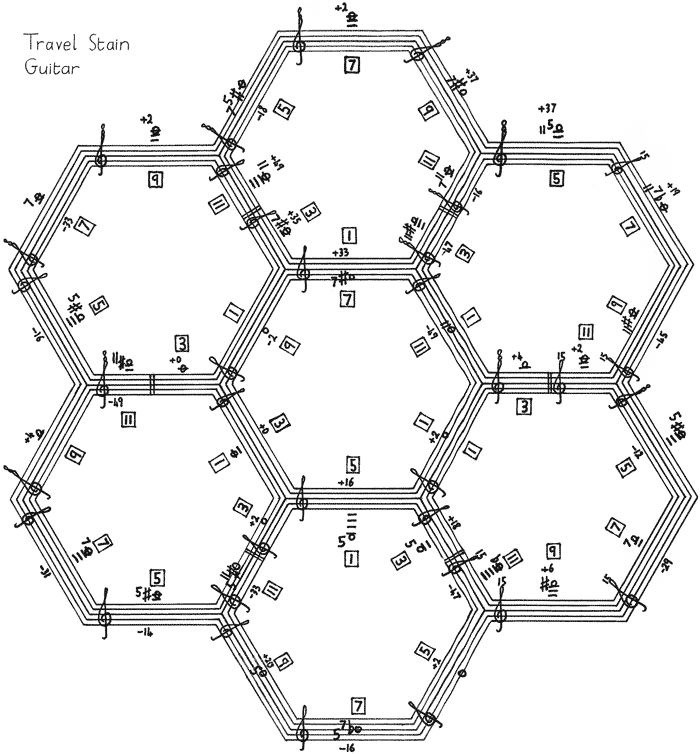 The six sides of the inner hexagon represent the six strings of the guitar, which are tuned in accordance with the same subharmonic series upon which the microtonal tuba tuning is based. The harmonics of each of these subharmonic partials are in turn notated within each associated outer hexagon. 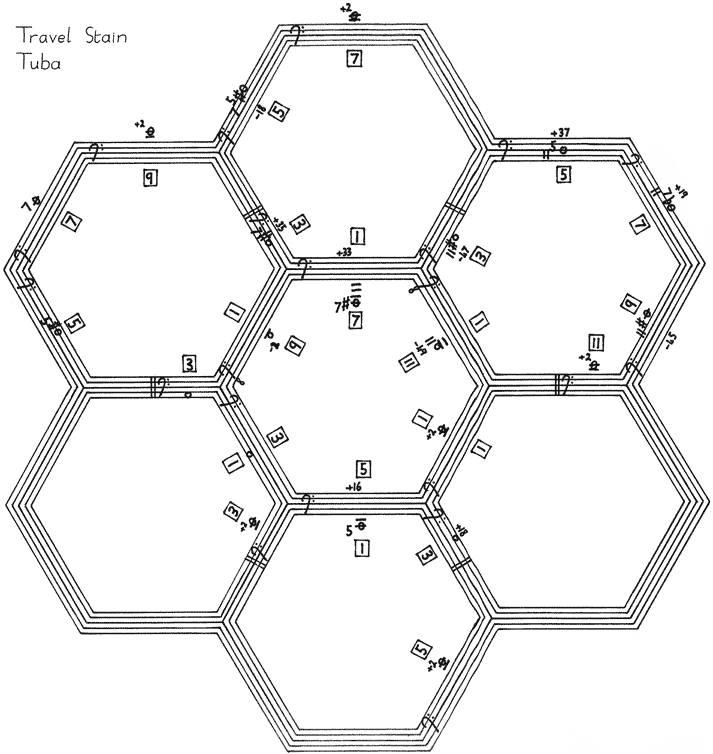 Starting at the lowest hexagon, the musicians explore the harmonic and rhythmic space implicit within this structure, moving slowly clockwise until all hexagons have been activated. The title refers to the darkening of honeycombs caused by bees walking on them with feet made dirty from travelling.